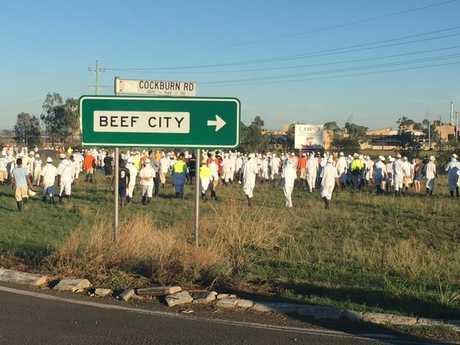 UPDATE: About 300 Beef City workers were evacuated early this morning after a chemical spill at the abattoir at Aubigny. A number of workers suffered exposure to the dangerous ammonia chemical and were treated at the scene for symptoms including nausea and vomiting. 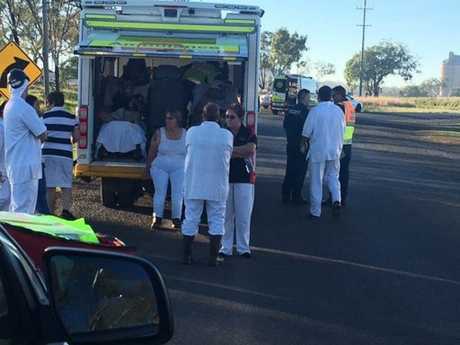 Queensland Ambulance Service Darling Downs senior operations supervisor Brad Setch said a dozen of the evacuated workers were treated at the scene following the spill, reported about 5.30am. "This morning, the business has had an ammonia leaked and caused the evacuation of 300 employees," he said. "Out of those 300, we've had 12 patients that we've actually treated. 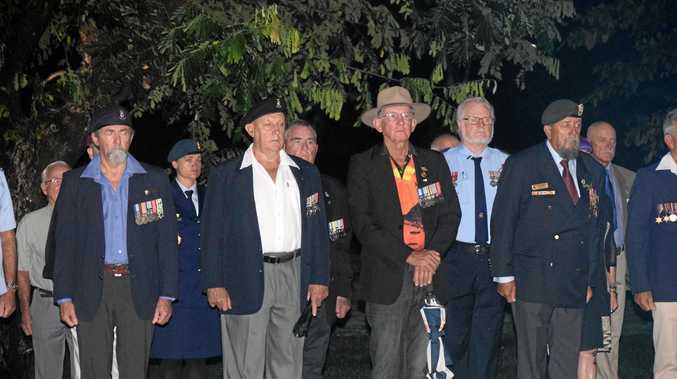 "We responded units from Oakey, Pittsworth and Toowoomba to treat those patients. "We've transported eight patients to … St Vincent's Hospital with all minor injuries, nausea and vomiting." Paramedics returned to the business about 8.15am after the eight patients were taken to hospital. Mr Setch said the chemical spill had been "deemed safe" by responding Queensland Fire and Emergency Services crews. He said Beef City had taken over control of the incident after the patients were transported. 7.45AM: Seven people have been taken to hospital after an ammonia spill at Beef City this morning. Queensland Ambulance reports 11 people were assessed at the scene, with seven being taken to St Vincent's Hospital after the chemical incident reported about 5.30am. 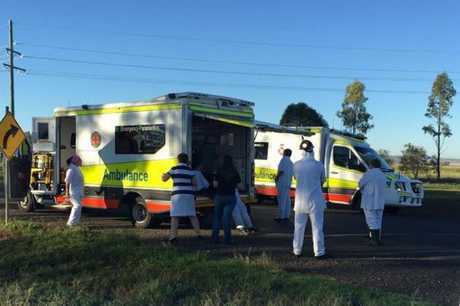 The seven people, believed to be workers at the abattoir, were in a stable condition. Three Queensland Fire and Emergency Services crews will remain on scene assisting with operations and assessing the workplace. Police were also on scene and were assisting with evacuation procedures at the facility. A police spokesman said Beef City had evacuated the impacted area and followed safety procedures by the time officers arrived on scene. 6.20AM: An ammonia leak has sparked an emergency at a Toowoomba region abattoir, with seven patients reportedly affected. Emergency services are assisting patients at Beef City on Cockburn Rd, Aubigny after reports of the chemical leak. Exposure to the poisonous gas can cause stinging eyes, dizziness and respiratory burns.